UTA's Homecoming traditions have evolved over the years, from revelry focused on football to the basketball-centered celebration it is today. However, some things never change. We still enjoy parades and pep rallies, Maverick spirit thrives unabated, and, of course, Homecoming queens and kings are still crowned at halftime. 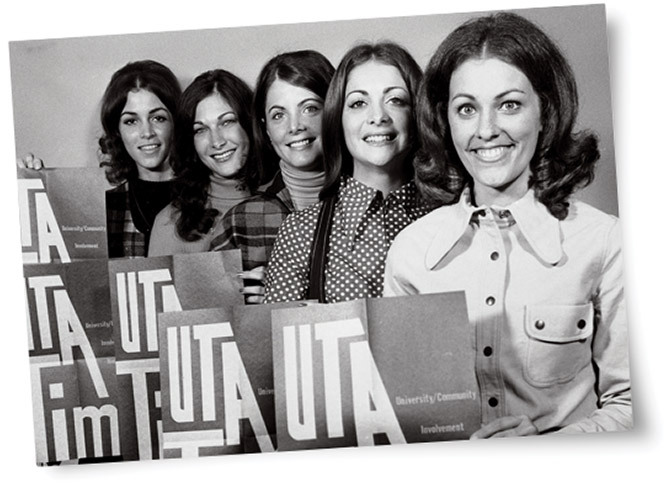 Pictured here are the 1972 UTA Homecoming queen candidates, from left: Carol Takaba, Bernadette Sulak, Linda Montgomery (who won), Jan Kirby, and Melissa Hundt.